If your travels have not yet included Alaska, this is definitely a must-see for Americans as much of it is truly unspoiled–filled with wild game, great fishing, clean lakes and rivers, untouched forests and majestic mountain ranges. 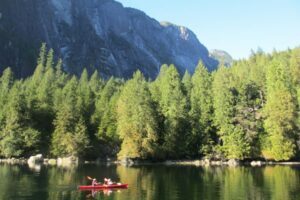 Sailing through the many lush islands of the Inside Passage (which includes northern Washington, British Columbia and Alaska) certainly gives you a taste of Alaska’s pristine beauty, but it barely touches the surface of what Alaska has to offer. That is why a number of cruise lines offer land packages or cruisetours with many of their voyages. Why not include a few days visiting Denali State Park with its majestic Mount McKinley and abundant wildlife or Kenai’s Fjords? Activities on land are abundant ranging from fishing, dogsledding, 4-wheel adventures, sea kayaking, flightseeing, glacier exploration, bear viewing, cultural visits and much, much more. Want to venture further into the wilds? Consider flying to a remote lodge or taking a tour to the Arctic Circle to see polar bears. Alaska is also one of the premier sights for the Northern Lights, with prime viewing between January–March, but often visible from September through mid-April. The area around Fairbanks is ideal for viewing this phenomenon of nature. I traveled on an Alaskan cruise with my two sons when they were 10 and 14 and it was an adventure our entire family will treasure forever. Due to the short sailing season, cruises fill up fast so it is wise to reserve early. 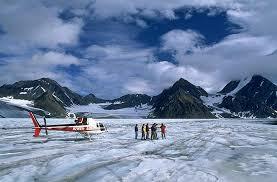 Let Gateway Destinations help find the perfect Alaskan adventure for you! Call us today at 602-923-1542. Perhaps you have traveled a lot and are looking for a new and enriching vacation experience? Voluntourism may be just what you are looking for as a way to feed your curiosity about other cultures and fulfill your longing to give back to society. Volunteering can range from occupying a brief part of your vacation itinerary to being the main purpose and activity throughout your journey. One thing for certain, there is no shortage of need or opportunity to be involved. What voluntourism opportunities exist, and how do you get involved? Volunteer activities are endless and range from teaching, providing medical services, construction, gardening and farming, animal care to archaeological work and much more. There is something for everyone to do. A number of organizations have established outreach programs including chain and high-end hotels such as the Ritz-Carlton, Fairmont, and Six Senses to name a few or eco-lodges such as Lapa Rios in Costa Rica. There are also tour operators deeply involved in the local communities in which they bring tourists such as Micato Safaris, Lindblad Expeditions, Hands Up Holidays and Abercrombie & Kent. There are also several non-profit organizations such as Global Volunteers and Doctors Without Borders. Volunteering while on vacation is an excellent way to get to know the local people more intimately. It can also be a great way to bond with your family members and introduce young people to the idea of giving back and helping others. Want to learn more? Call Gateway Destinations at 602-923-1542. We just started year 2015 but I’m pretty sure you’re already planning a special getaway with your closest girlfriends. Traveling with your family, significant other, and children may be fun but admit it, you sometimes want to take a break and just enjoy some time all by yourself. What better way to spend time off than with your most trusted friends on a quick girlfriend getaway or on an adventure tour especially planned for women. 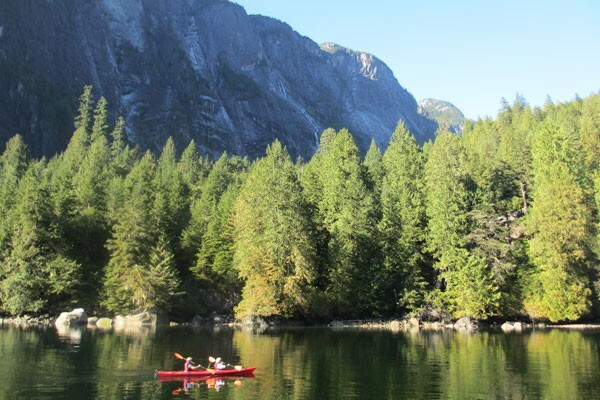 Adventure tours for women mean men, parents, and kids are off-limits. For a few days or a couple of weeks, travel somewhere far you haven’t explored and where culture is different and interesting. You and your friends will definitely have a blast remembering the good old days when you go on a special getaway together. The Ultimate Yoga Bliss in Costa Rica is one of Gateway Destinations’ many custom women-only tours. We’ve partnered with Kim Bowen, founder of Prosper Wellness. Kim is a yoga instructor and a Stress Reduction Specialist, inspirational speaker, and founder of a local yoga based wellness company in Arizona. Our Peru In All Its Splendor women-only tour will be a 9-day journey that lets you discover art, beauty, and food in this South American country. It’s a trip worth taking as it is filled with many adventures. It’s not only fun, it’s also educational. Paris has always been the top travel destination for couples but the City of LoverDs is also a favorite of women going on tours with their girlfriends. Paris in August can be fun but going to the city anytime of the year is quite lovely especially when you’re travelling with the people you love. Discover the heart of Italy and explore the hidden regions of the region. Taste the world-renowned Chianti and Brunello wines and enjoy the regional authentic cuisines as part of the special tour. Gateway Destinations can plan your Alsatian journey, which will start in the picturesque and lively town of Strasbourg. This place is known as a World Heritage Site and can be found at the France-Germany border. As you begin the Alsatian Wine Tour, you’ll venture into the countryside and follow the wine route up to the beautiful and historic villages like the must-see Colmar. Gateway Destinations’ 11-day exclusive adventure through South Africa will include the “big five” and wildlife at the Kruger National Park. After each day of a fun trip, you will retreat to a luxurious lodge reserved only for you. 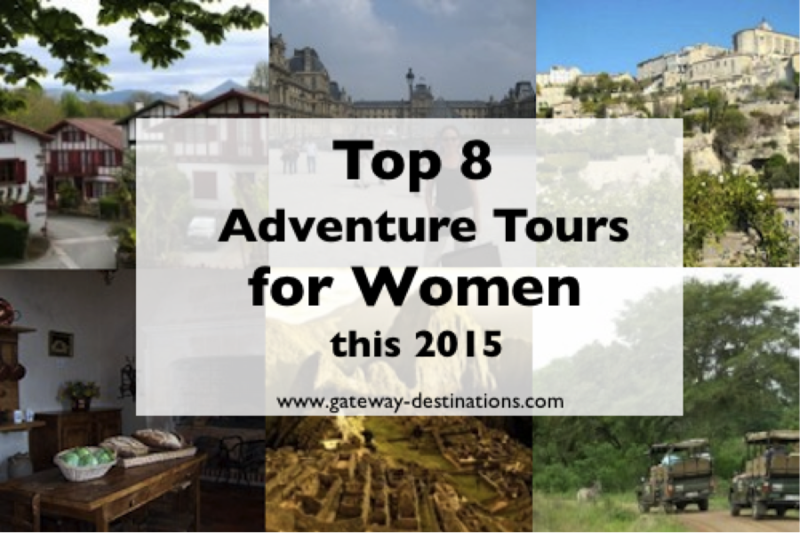 Gateway Destinations can plan a custom women-only tour for you. This inviting countryside is one awesome travel destination that will make you appreciate southern France more. It’s a rich area displaying the abundant beauty of nature and its people. Travel with your girlfriends to India. You will have a blast learning about the history of Delhi by visiting popular sights and participating in a unique culinary experience in a local Indian family home. Discover the beauty of Taj Mahal and take a photo while in front of it as souvenir. To cap off your day, maybe go on a thrilling elephant ride in Amber Fort. People say that going to Europe can be very expensive. However, those who live in the continent or have been to countries in the region will all agree that travelling there is worth it. The cost of travel will never outweigh the unforgettable moments and beautiful things one can experience in Europe. We’ve talked about several European cities already and I’m pretty sure you’re convinced that Europe should be your next destination. The only challenge now is for you to decide on which place to visit. One of the more popular and more affordable places to visit in Europe is Greece. What comes to mind when you hear of the country? Gods, goddesses, Athens, mythology, ancient times, Mykonos, and the beautiful white houses we always see in the movies. Gateway Destinations offers an Ancient Athens & The Greek Isles Specialty Tour Package. It’s one of our more popular travel deals because many people want to experience an in-depth Grecian experience. This featured tour allows travelers to discover the rich, mythological history of Athens. Explore the prominent archeological wonders of ancient times set in the middle of modern surroundings. With our tour itinerary, you can enjoy abundant shopping, savor great food, and enjoy the very lively atmosphere of this vibrant city. Aboard the Monarch Ocean Countess, venture out of Athens in style. Cruise the blue waters of the Aegean sea for three full relaxing days, then off to the beautiful Greek Isles. You’ll also get to visit the ancient site of Ephesus in Turkey. Visit and see for yourself the famous Mykonos. At night, witness how sophisticated the nightlife is. During the day, visit the beautiful Monastery of Saint John on the island of Patmos, the island of Crete, and Santorini complete with the unique and beautiful architecture. For two days, you’ll stay in a very lovely suite overlooking the crystal shimmering sea. Ready for your Grecian adventure? Here are some travel tips that might come in handy. Depending on your budget, choose a hotel or resort you like. Hostels are not expensive and there are a lot of budget hotels in Athens especially during the off-season. Read about the Greek culture and traditions. Some things must be done in a certain way so do your homework and research before going to the country. As with any trip to a new place, you need to know the proper clothes and shoes you should be wearing. Wear clothes comfortable enough and shoes that you know will keep you going all day, all night. As an Orthodox Christian country, Greece has a lot of shrines at the roadside. You might notice a lot of people signing the cross. Be respectful at all times. This will make travel easier, faster, and fun if you’re not going with a group tour. A moped will easily bring you from one place to another around Greece. You can rent one for $16 a day. You can also travel by train to visit different areas in Greece. Greece has many islands so to visit them, you need to travel by boats or ferries. It is highly recommended that you try overnight ferries if you want to visit nearby islands. Overnight fees are usually cheaper. Book early so you’re sure to have a seat reserved for you. Discounts are sometimes given to early reservations. You don’t need to spend a lot on food. You can keep your stomach full for only $10 per day. Visit a lot of tourist destinations and islands. Make the most of your time in Greece. Don’t waste any minute! If you want a custom tour or a packaged group tour to the Ancient Athens & The Greek Isles, contact Gateway Destinations.